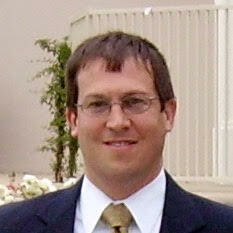 The Roger Bacon Academy, Inc. (RBA) is pleased to announce the addition of Dr. Erik Root to its staff. Most recently, Dr. Root served as a Political Science professor at West Liberty University and Chairman of the university’s Center for Economic Philosophy. Dr. Root has also held professorships at Lewis University and Patrick Henry College and has published 11 scholarly works, including two books and an entry in the Encyclopedia Virginia. “A deep knowledge of history is essential for informed and productive citizens,” states Root. “I look forward to joining RBA in their work to educate students about history and the founding principles of our great nation,” he continued. With a Ph.D. in Political Science and an extensive background in education, Dr. Root will assist in several roles. With experience as a university professor and author, Dr. Root will be a tremendous asset to RBA’s Curriculum Department. Dr. Root will work with Doug Franks, RBA’s Dean of Classical Curriculum, to curate and create rigorous classical curricula for RBA’s client schools. “I am so pleased to welcome Dr. Root to our team. His extensive historical knowledge and university experience will be an asset in evaluating and creating the history curriculum for students at our client schools,” said Dean Franks. Dr. Root will also serve as an Educational Policy Analyst to help RBA in long-range planning. “We want to ensure that RBA’s successes over the past sixteen years will continue,” said Baker Mitchell, RBA’s President. “RBA’s goal is to grow and add value to the K-12 system as it evolves over the next several decades. Dr. Root’s experience and insight will be a key factor in furthering that goal,” Mitchell explained. RBA is a management organization that provides public charter schools with educational, administrative, and operational support. Since 2000, RBA has provided a signature educational program that combines the proven Direct Instruction teaching method with a robust classical curriculum— a combination which consistently produces best-in-county academic performance by client schools. RBA’s client schools include Charter Day School in Leland, Columbus Charter School in Whiteville, Douglass Academy in Wilmington, and South Brunswick Charter School in Southport. All schools are public, tuition-free, and welcome any student to enroll, regardless of income, ability, or address. For more information, please visit www.rogerbacon.net.